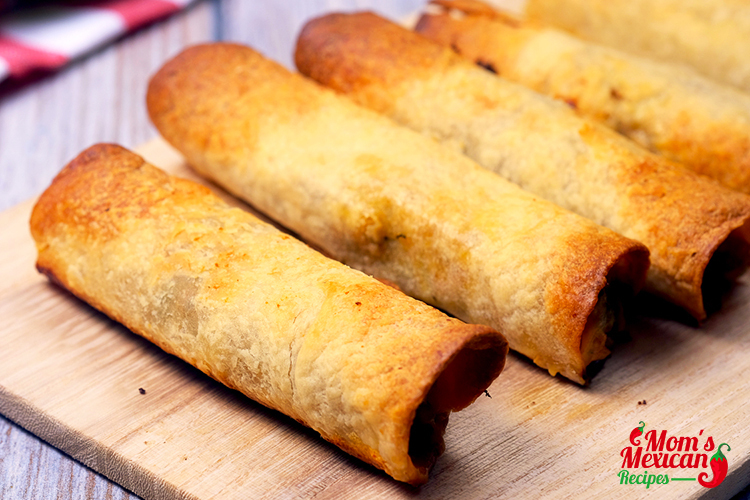 Chicken Taquitos Recipe is a Mexican food dish invented in San Diego, California, by Ralph Pesqueria, Jr. Crispy Fried Taquitos sold in Mexico are often called tacos dorados (“golden tacos”) or flautas. Typical toppings and sides include cabbage, crema (Mexican sour cream), guacamole, green chili or red chili salsa and crumbled Mexican cheese such as queso fresco. yellow corn tortillas and everything goes on, you just need to choose whether you’ll like to eat the chicken taquitos bake or fried. Line a baking sheet with foil, grease with oil. Shred Zucchini using the large holes of a box grater, squeeze dry in a clean kitchen towel. 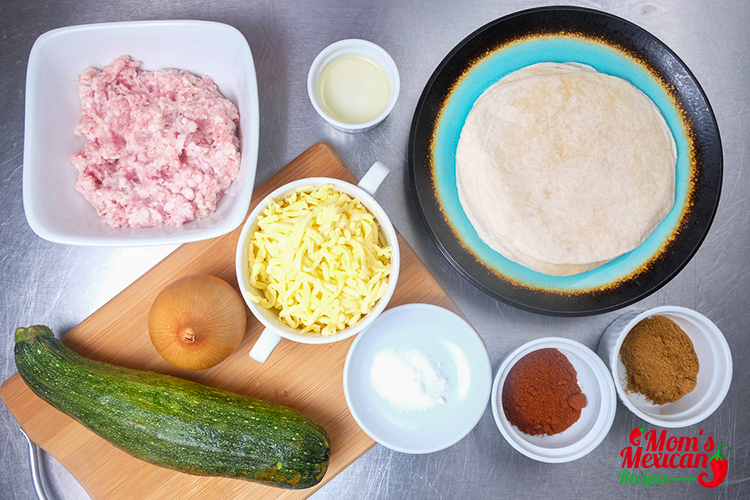 Add zucchini, ground chicken, chili powder, onions, cumin, and salt. to pan and cook, stirring until the chicken is cooked through 8-10 minutes. Spread tortillas out on a baking sheet in two overlapping rows. Bake until hot, about 2 minutes, transfer to a plate and cover. Line the baking sheet with foil or parchment paper (for easier clean up) and coat with cooking spray. 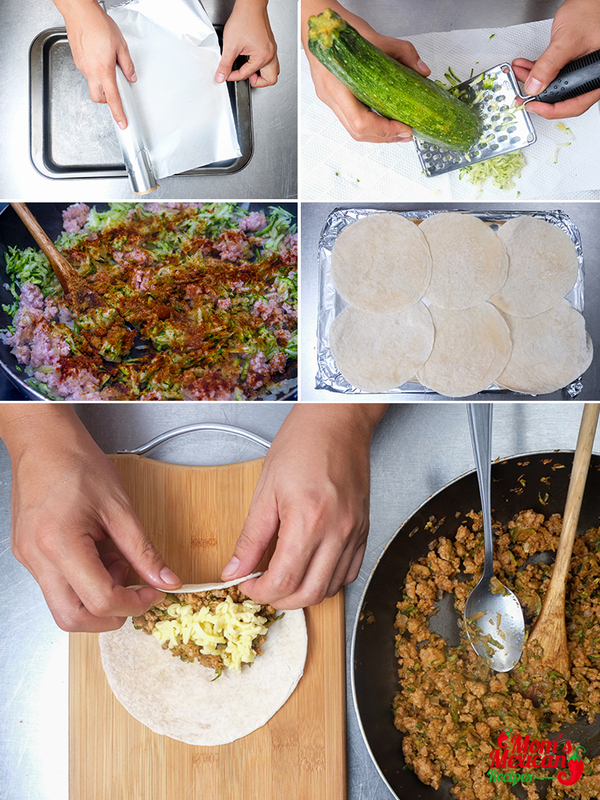 Place 6 tortillas on a clean cutting board or extra pan. 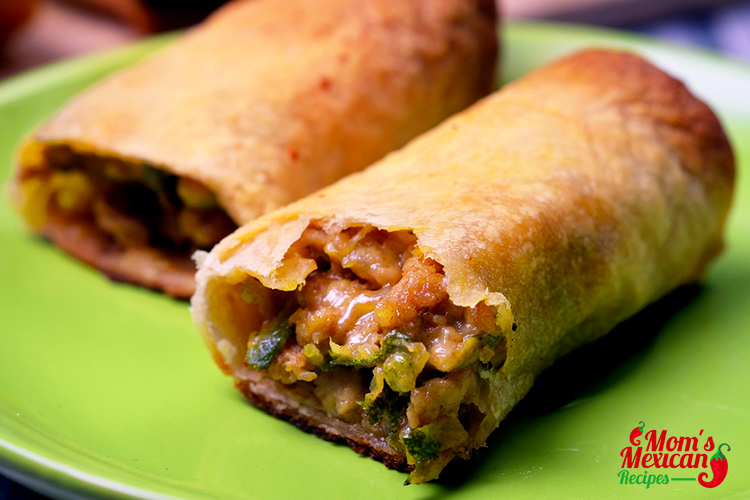 Working quickly, spread a generous ¼ cup chicken mixture along with the bottom third of a Tortilla, sprinkle with about 1T cheese and tightly roll into a cigar shape. 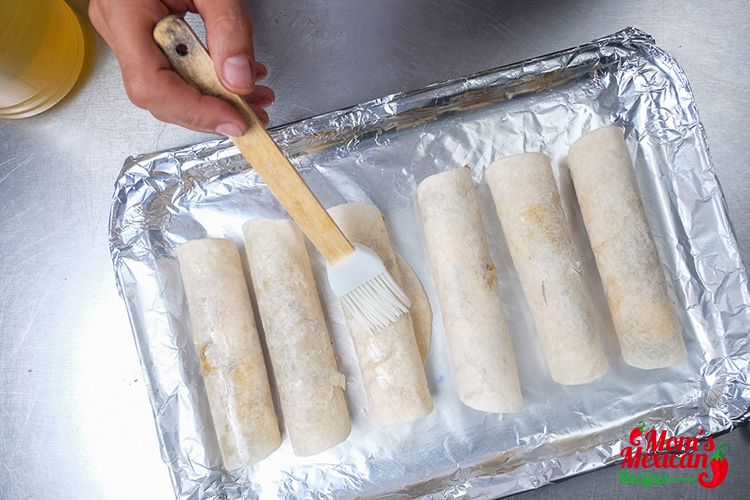 Generously coat the top and sides of taquitos with cooking spray. Sprinkle the top with salt, liberally. 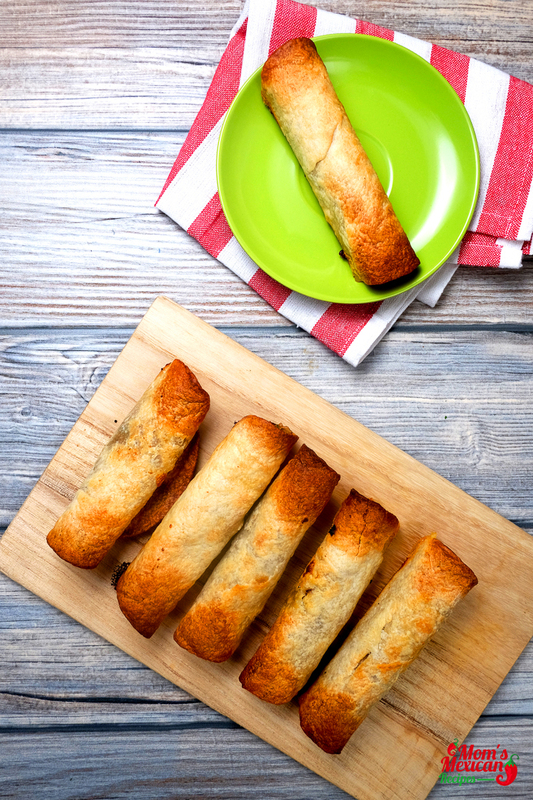 Chicken Taquitos Recipe is a great way to use leftover chicken, try to make some modifications due to what was in your pantry, used black eyed peas instead of black beans, diced jalapeños instead of green chilies and flour tortillas instead of corn.This recipe was super easy and quick to make. The hardest part was waiting for them to come out of the oven! topped them with more cheese before they cooled and then served them with sour cream mixed with cumin and chili powder.